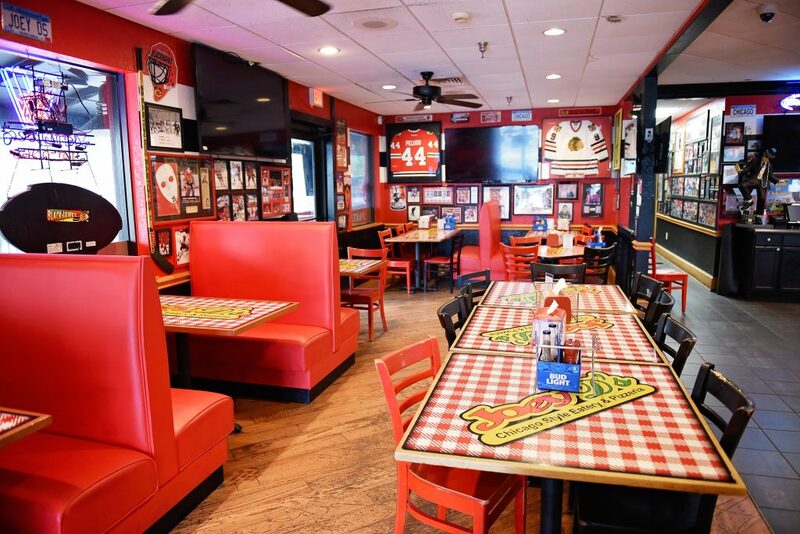 Joey D’s Chicago Style Eatery & Pizzeria offers exactly what its name claims – which is great news for Chicago transplants and visitors in Manatee and Sarasota counties. Blackhawks, Bears, Bulls, Cubs and White Sox games are on the big-screens and framed posters, photographs, jerseys and other memorabilia decorate the walls. But it’s the authentic Chicago-style cuisine that really makes you feel like you’re in the Windy City. 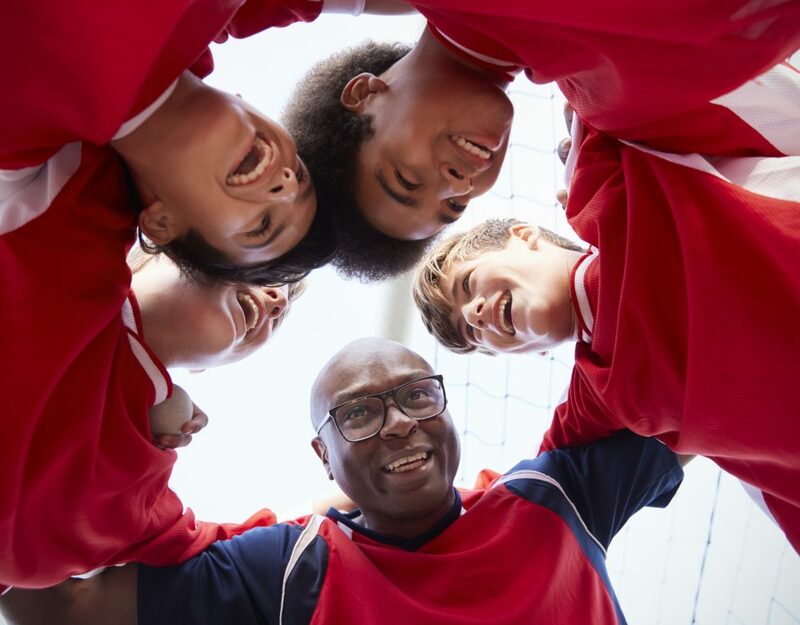 For non-native Chicagoans, the family-run Joey D’s is just as warm and welcoming to all, with a fun, celebratory atmosphere, especially on game days. The decor is not completely Chicago sports-inspired, as there are tons of photos of friends and family members in the mix. And while it’s guaranteed you can watch Chicago teams here, you can watch local ones, as well. The Dennis family’s story begins in Naples, where Tommy and Bobby’s mother, Maria, was born. When she was 28, she moved to Chicago and met Bob senior, who’d been born and raised there. Maria was a beautician and Bob an auditor for International Union. The two married in 1965, and raised three sons: Tommy, Bobby and Joey. Tragically, in 2000, Joey died after battling a rare genetic disease called Cockayne Syndrome, the effects of which include difficulty gaining weight, short stature, premature aging and an impaired nervous system. While doctors told the family Joey wouldn’t live past age 12, he defied the odds and lived until he was 32. His was the longest known case, according to his brothers, who named their restaurant after him. 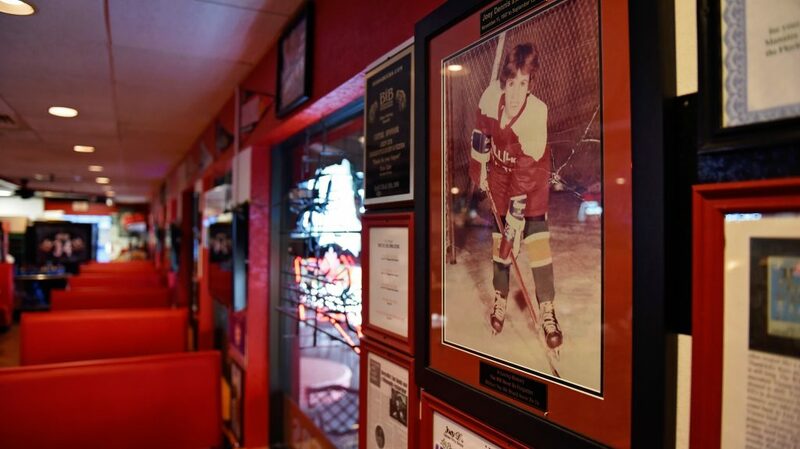 Joey’s photos, including those of Joey playing hockey, a sport he was passionate about, grace the walls of all the Joey D’s restaurants. Tommy, also passionate about hockey, played goalie, and in the late 1980s, the family moved to Minneapolis, MN for hockey. Tommy was state champion in Minnesota, and national champion in the United States Hockey League for the North Iowa Huskies. He played in Canada in the Saskatchewan Junior Hockey League for the Flin-Flon Bombers, and he played college hockey for a bit in Canada with Brandon University. So, in 1994 in Minneapolis, Tommy and Bobby opened the first Joey D’s Chicago Style Eatery & Pizzeria. But after 10 years there, tired of the cold and snow, the brothers sold the business and brought their authentic Chicago restaurant concept to Bradenton. Today, their restaurant is housed at 6401 Manatee Ave. W.
In December 2013, the Dennis brothers opened their second location, near I-75 and Bee Ridge Road in Sarasota. Then, a year later, they opened their downtown Sarasota restaurant on North Tamiami Trail. The Palmetto location, at 945 10th St. E., is actually owned and operated by Dennis’s cousins. It opened in February 2016. All four restaurants offer dine in, takeout and catering. All except Palmetto offer delivery. Joey D’s offerings are made with care and high-quality ingredients, according to Tommy Dennis. Everything is prepared and served the way it would be in Chicago, down to the specific brands of condiments and rolls. 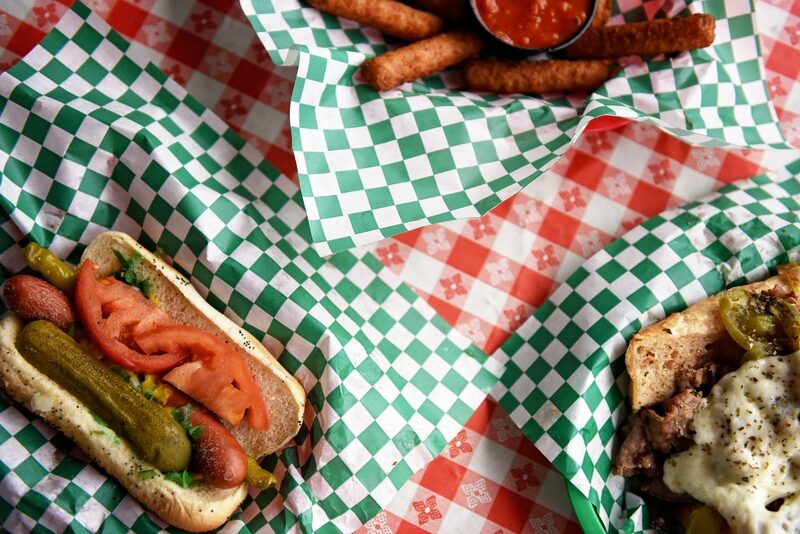 Along with Chicago specialties, there are Italian American favorites on the menu, as well as some typical sports bar fare. “Our wings are outstanding,” said Tommy Dennis, noting that among the six flavors, the garlic parmesan wings are the most popular. The handcrafted pizzas are made with “Mama D’s” family recipes and spices, and the dough and pizza sauce are made from scratch daily. 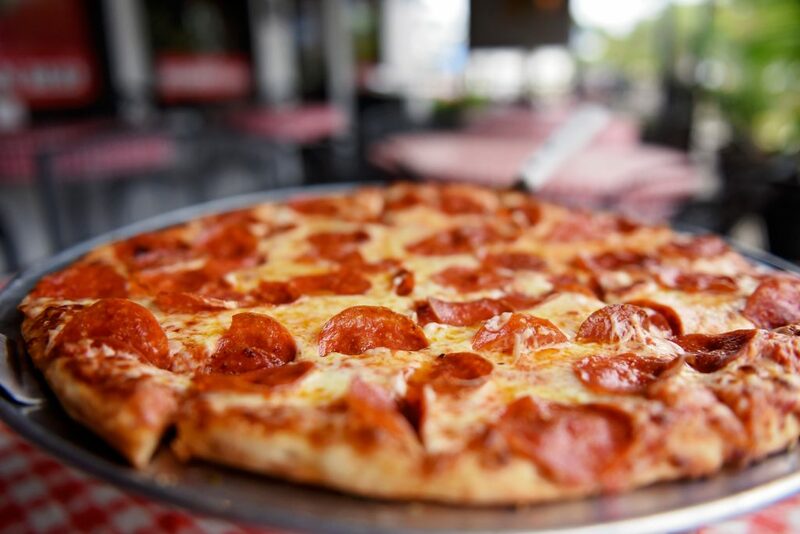 At Joey D’s, you can get Chicago traditional thin crust pizza, as well as Sicilian crust, but its most popular pies are the Chicago deep dish and stuffed pizzas. The deep dish has a thick crust, lots of cheese and sauce, and can feature up to four toppings. The stuffed version has a layer of crust on top. Popular pizzas include The Monsters of the Midway (Da Bears), a thin crust pizza with pepperoni, sausage, ham, mushrooms, green peppers, black olives, green olives, bacon and onions, and The Da Bulls pizza, with pepperoni, Italian sausage, ham, bacon and beef. You can also get stromboli, calzone and gluten-free pizza here. A whole section of the Joey D’s menu is devoted to Rocky Balboa Philly Cheese Steaks, featuring USDA 100 percent choice steak and cheese and served on the original Philadelphia Amoroso rolls. The Deluxe Cheese Steak also features fried onions, green peppers and mushrooms. The Streets of Chicago menu section includes the original “Chicago Style” Hot Dog, with Chicago’s famous Vienna beef brand dog on a freshly steamed bun, with yellow mustard, bright green sweet pickle relish, white onions, sliced tomatoes, a kosher pickle spear, pickled sport peppers and a dash of celery salt. There are six other hot dog options. Another house specialty is the Cheesy Italian Beef – thin-sliced beef with hot or sweet peppers, plus cheddar or mozzarella cheese on a roll. It comes dry, juicy or wet. You can also get Italian sausage on a roll, with sweet or hot peppers. Joey D’s also offers burgers, parmesan subs (like eggplant parmesan and chicken parmesan) and pastas, the most popular of which is the Sandriana – baked penne with Alfredo sauce, spinach, mushrooms, tomatoes and garlic. 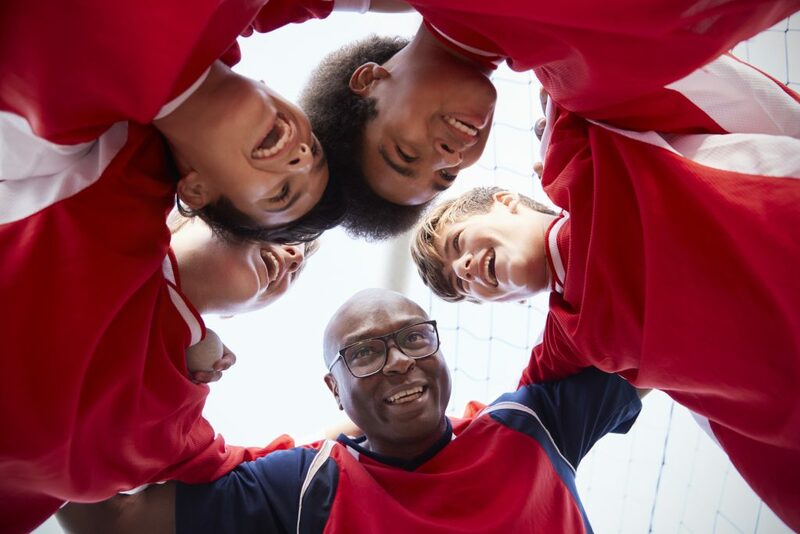 Mozzarella sticks, onion rings, calamari and other typical sports bar appetizers are offered, as are Wisconsin Gold Cheese Curds and Bacon Chili Cheese Fries. 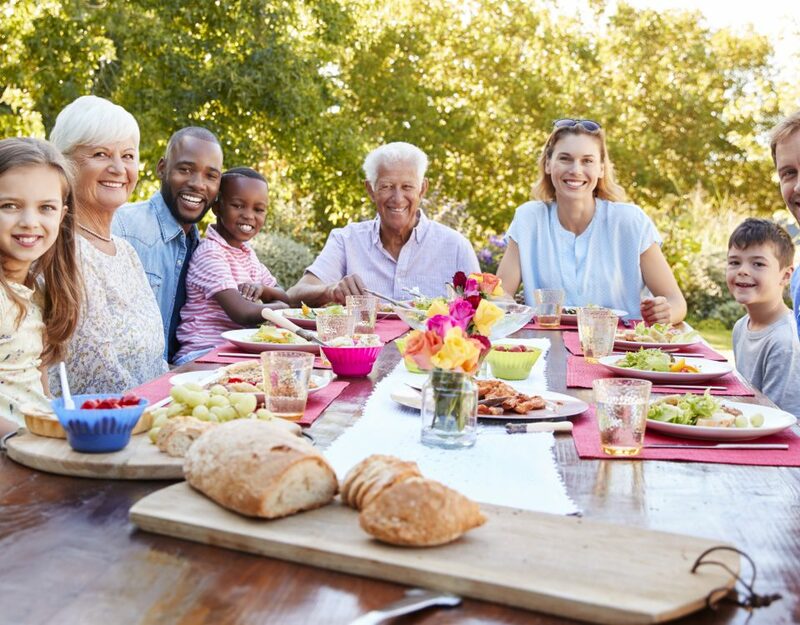 The list of seven salads includes an Antipasto, which includes pepperoni, ham, salami, provolone cheese, olives, pepperoncini’s, mixed lettuce, tomatoes, cucumbers, onions and green peppers.